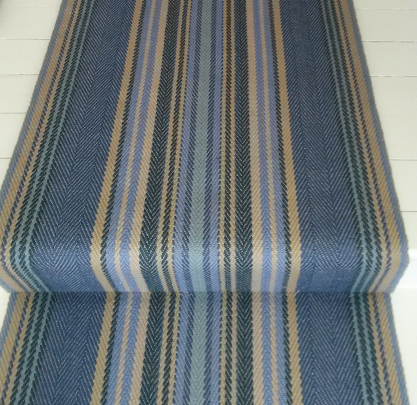 Project: The blue Roger Oates Chatham runner was ideal for this Georgian rectory. The brief: Blue runner was part of a complete refurbishment of another Georgian rectory and involved long hours of consultation and site visits with the client, to meet very exact requirements. It featured some eighty feet of the carpet, which also needed some three or four hours' work measuring and templating JUST the winders and small landing. 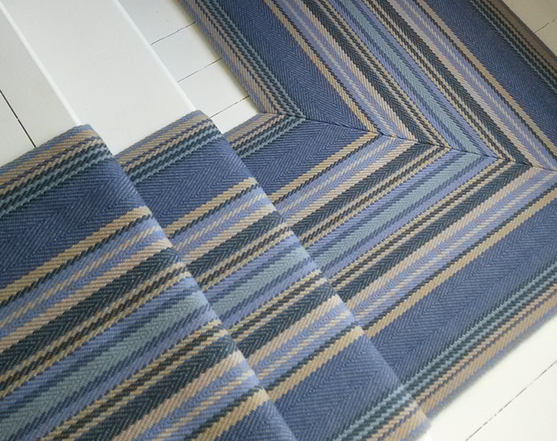 The installation again shows Roger Oates Carpets' HAND-SEWING of the mitres, all done to our estimators' detailed plans.